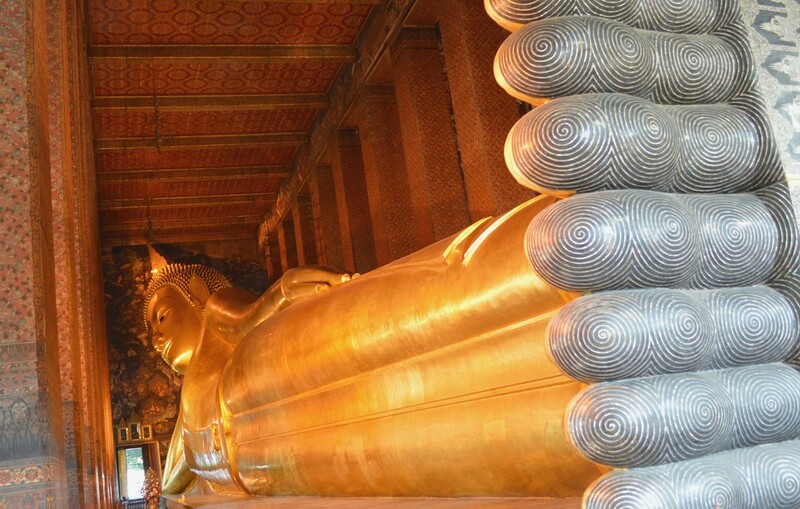 Nestled in the chaos of Bangkok literally lies Wat Pho or in English, the reclining Buddha. Surrounding his temple resides hundreds of Buddhas, causing the perplexed tourist to become numb to the sacred gleam of these golden beacons. Will the real Buddha please stand up? I believe he will remain reclining.